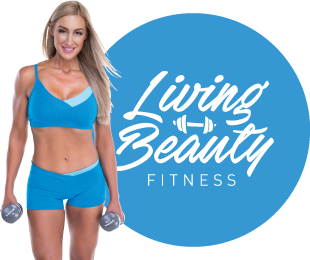 I had a goal to compete at a Bikini Competition, but had no idea how to achieve it until I was introduced to Living Beauty Fitness. When I first met Amelia, she was confident I would be able to achieve my goal and I was skeptical. What was the program like with a family and your own business? The 20 week customised program provided me with nutrition, and workouts. Plus the support and wellbeing that helped me achieve my ultimate goal of competing in my first competition. How did you find the meal plans? The meals are delicious and easy to prepare. They were regularly reviewed and tweaked based on my progress and how I was feeling and training was easy to follow. How did you find your posing coaching? I started with group classes with Amelia teaching these from 6 months before the competition, then I worked with Elle to tailor a posing routine to my needs and this gave me the extra tweaking to my posing and presentation. My advice is to focus on your posing as you will feel so much more confident on the day! On competition day the photo shoot and being on stage was amazing. Actually the whole day was just fantastic! What coaching and mentoring did Living Beauty provide? Anybody can follow a diet and go to the gym. But true results come from an amazing team around you and Living Beauty certainly does that. I had two coaches Amelia, Owner and Gemma, Assistant Coach and they provided fantastic fast responses to all my questions, coaching on days I felt demotivated. Thank you Living Beauty!